New information has today been released about some up and coming Doctor Who audio dramas. 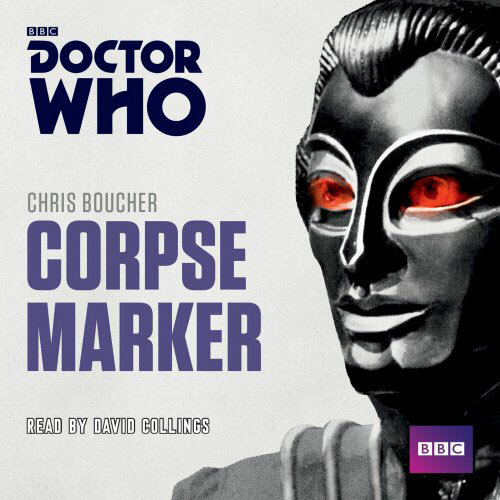 The first, released in February 2015 is a reading of Chris Boucher’s sequel to his original 1978 story, Robots of Death, Corpse Marker. The stories stars the 4th Doctor and is read by David Collings. Geoffrey Beevers reads this exciting novelisation of a classic TV adventure for the Fourth Doctor. The Doctor is suddenly summoned to Gallifrey, the home of the Time Lords, where his ghastly hallucinations of the President’s assassination seem to turn into reality. When the Doctor is arrested for the murder, a hideous, dark, cowled figure is gleefully watching in the shadows. In a battle of minds, the Doctor faces renegade Time Lord the Master, inside a nightmare world created by his old enemy’s imagination. But the Master’s evil intentions go much further – he has a Doomsday Plan. It is up to the Doctor to prevent him from destroying Gallifrey and taking over the Universe! Geoffrey Beevers, who played an incarnation of the Master in the BBC TV series, reads Terrance Dicks’s complete and unabridged novelisation, first published by Target Books in 1977. You can preorder the audio here. 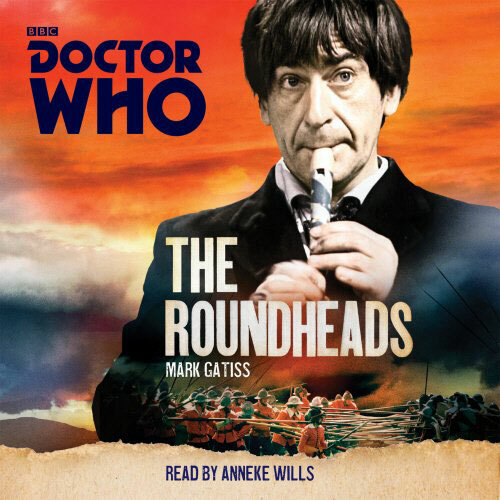 An unabridged reading of Mark Gatiss’ novel set in the aftermath of the English Civil War, featuring the Second Doctor as played by Patrick Troughton and his companions Ben, Polly, and Jamie. With the Civil War won, the Parliamentarians are struggling to hang on to power. But plans are being made to rescue the defeated King Charles from his prison… With Ben press-ganged and put on board a mysterious ship bound for Amsterdam, Polly becomes an unwitting accomplice in the plot to rescue the King. The Doctor can’t help because he and Jamie have been arrested and sent to the Tower of London, charged with conspiracy. Can the Doctor and Jamie escape, find Ben and rescue Polly – while making sure that history remains on its proper course? For more information of The History Collection – which The Roundheads is part of, click here. To preorder the audio reading of Gattis’ Cromwellian tale click here. You can preorder Frontios here. 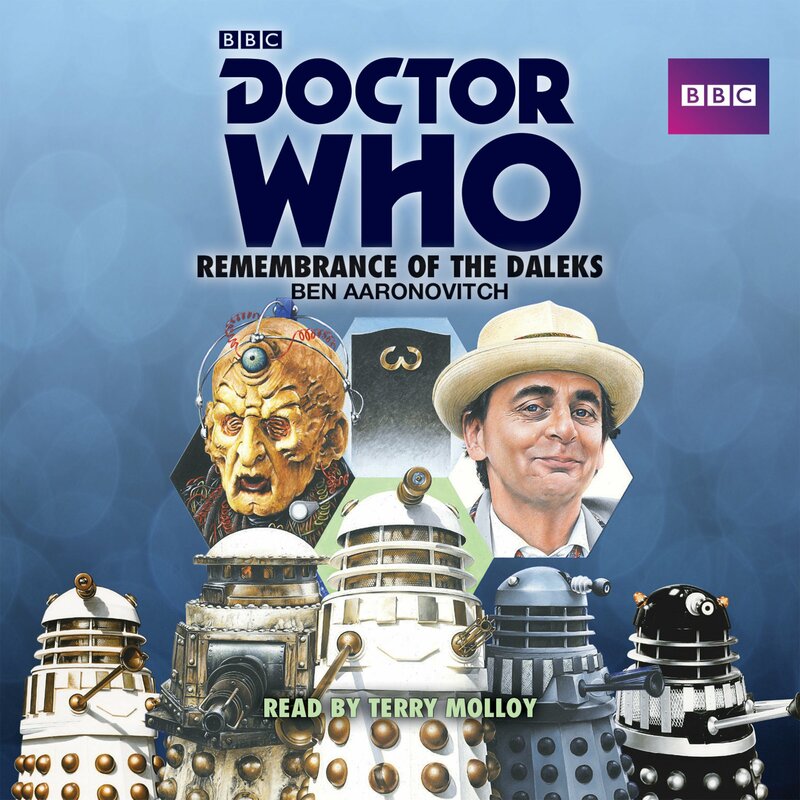 This is followed by the highly anticipated release of the audio adaption of James Gross’ adaption of Douglas Adams’/Graham Williams’/David Fisher’s Doctor Who story City of Death. An acclaimed classic, City of Death starred Tom Baker, Lalla Ward and Julian Glover. An unabridged reading of the brand new novelisation of a classic Fourth Doctor TV story by Douglas Adams. The Doctor takes Romana for a holiday in Paris – a city which, like a fine wine, has a bouquet all its own – especially if you visit during one of the vintage years. But the TARDIS arrives in 1979, a table-wine year, whose vintage is soured by cracks in the very fabric of time itself. Soon the Time Lords are embroiled in an audacious alien scheme which encompasses home-made time machines, the theft of the Mona Lisa, the resurrection of the much-feared Jagaroth race, and the beginning (and quite possibly the end) of all life on Earth. Aided by British private detective Duggan, the Doctor and Romana must thwart the machinations of the suave, mysterious Count Scarlioni – all twelve of him – if the human race has any chance of survival. Featuring the Fourth Doctor as played by Tom Baker, City of Death is a novel by James Goss based on the 1979 Doctor Who story, written by Douglas Adams under the pen-name David Agnew. You can preorder the City of Death audio CD here. 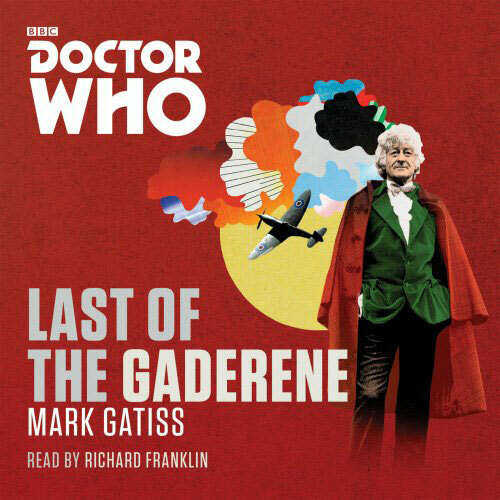 On the same day, 21st of May, an adaption of Mark Gattis’ Third Doctor novel The Last of the Gadarene featuring The Third Doctor, Jo Grant, Brigadier Alister Gordon Lethbridge- Stewart and UNIT is released. 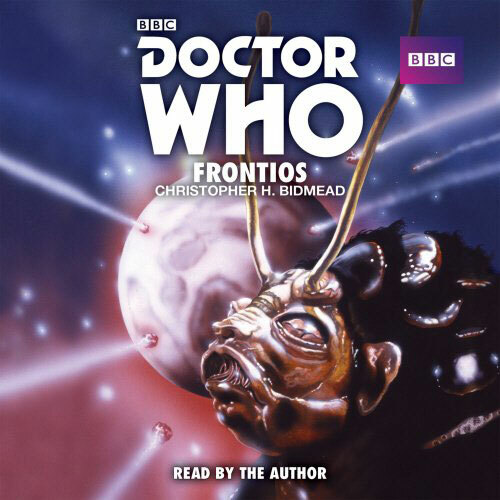 The audio is read by former Doctor Who star Richard Franklin. You can preorder Gattis’ airbase based story here. This is followed on the 18th of June by an original Twelfth Doctor audio, featuring The Doctor and Clara. Entitled The House of Winter it is written by George Mann and is the first in a quartet of stories exclusive to BBC Audio which will feature the current Doctor and be released between June and December. To preorder it click here . 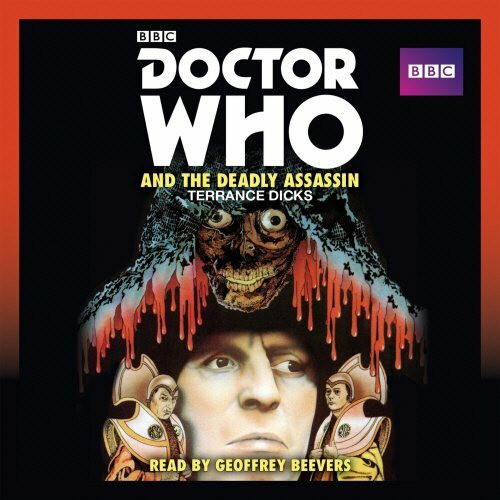 Appearing on the same day is a reading of the 1960s Doctor Who story The Massacre featuring the 1st Doctor and Steven and written by John Lucarrotti. An unabridged reading of John Lucarotti’s novelisation of his classic First Doctor TV adventure. The TARDIS lands in Paris on 19 August 1572. Driven by scientific curiosity, the Doctor goes to meet and exchange views with the apothecary, Charles Preslin. Before he disappears, he warns Steven to stay ‘out of mischief, religion and politics’. But in 16th Century Paris it is impossible to remain a mere observer, and Steven soon finds himself involved with a group of Huguenots. The Protestant minority of France is being threatened by the Catholic hierarchy, and danger stalks the Paris streets. As Steven tries to find his way back to the TARDIS he discovers that one of the main persecutors of the Huguenots appears to be…the Doctor! You can preorder The Massacre here. This is followed on 16th of July with an adaption of Robert Holmes’ Doctor-tastic story The Two Doctors which starred The Sixth Doctor, Colin Baker and The Second Doctor, Patrick Troughton. You can preorder it here. This is followed on the 20th of August by the second in the quartet of 12th Doctor stories. Written by James Gross, it is entitled The Gods of Winter and features the Twelfth Doctor and companion Clara Oswald. You can preorder The Gods of Winter here . Also on the same day is an adaption of Paul Cornell’s recently republished 7th Doctor story, Human Nature. The book also inspired Cornell’s Series 3 two parter Human Nature / The Family of Blood which starred the 10th Doctor. An unabridged reading of the 7th Doctor novel by Paul Cornell which formed the basis for the 10th Doctor television story Human Nature / The Family of Blood. Hulton College in Norfolk is a school dedicated to producing military officers. With the First World War about to start, the boys of the school will soon be on the front line. But no one expects a war – not even Dr John Smith, the college’s new house master… The Doctor’s friend Benny is enjoying her holiday in the same town. But then she meets a future version of the Doctor, and things start to get dangerous very quickly. With the Doctor she knows gone, and only a suffragette and an elderly rake for company, can Benny fight off a vicious alien attack? And will Dr Smith be able to save the day? You can preorder Human Nature on audio CD here.